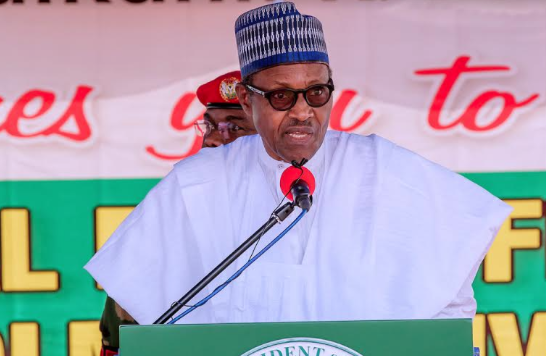 Buhari/Onnoghen: When Does A Constitutional Wrong Become Right? It is significant that our two former Presidents are alive to hear their consequential examples while in Aso Rock Presidential Villa being cited since President Muhammadu Buhari suspended Chief Justice Walter Onnoghan; the Judges they too moved against. It has been easy to blame both Obasanjo, Jonathan and Buhari over constitutional excesses, but nobody has bothered to remember the Advisers who spurred them on. 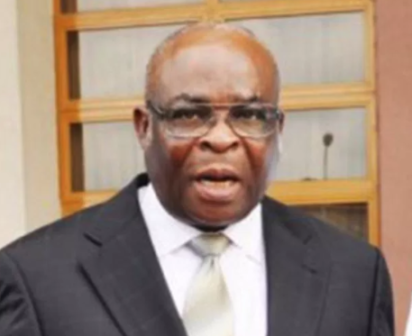 It is quite likely that the highly regarded lawyer, Kanu Agabi, is in Onnoghen’s corner, arguing that Buhari erred by suspending the CJN. While a Solid Minerals Development minister, Agabi delivered a paper at a retreat for Ministers and Permanent Secretaries in Kuru, near Jos. Plateau state on Saturday 24 February, 2001. It was titled Constitutionality of the Oversight Functions of the National Assembly. Agabi held that the National Assembly lacked the constitutional powers to exercise any oversight function over the Executive branch. Agabi became the Attorney General of the Federation and Justice Minister when Bola Ige died. No wonder Obasanjo behaved as though there was no National Assembly. Now, Buahri is playing Nigeria’s Hard Man. And a highly regarded legal authority, Prof. Itse Sagay is totally behind him. Applauding them are columnists such as Tabia Princewill. In her Vanguard “Tip of the New Dawn” column of January 30, 2019, she forgot the log in her own eyes but reminded “some sections of the media” of the specs in theirs. She spent a full page of the newspaper beating about the bush, leaving the impression that she hardly had a real grasp of the Buhari/Onnoghen controversy. She first talked about unresolved issues like June 12, budget padding, some monies some INEC officials indicted over bribery received from a former Oil Minister, and the monies in some bank accounts Onnoghen said he forgot to list in his asset declaration form. She forgot Buhari administration’s unresolved matters. Then she showed her total lack of understanding of the issues when she wrote: “if petty thieves in Nigeria were granted use of the same excuses and loopholes as the high and mighty, no one would ever be convicted no matter the crime”. Could somebody please tell Tabia Princewills that the issues are totally different. At stake here is the constitutionally guaranteed independence of the Judiciary. So the only question begging for answer is this: does the Constitution grant President Buhari the powers to suspend or sack the Chief Justice of Nigeria or any other Judge? Finish! To digress to other matters would only remind us of what Chinua Achebe said about Onitsha market literature; how “inadequate learning would not stop a man from educating his fellow man and making some profit as well”. Princewill’s Column was on page 17. On page 18 appeared the newspaper’s Editorial, which kicked off with this: “The purported suspension of the Chief Justice of the Federation, CJN, Hon Justice Walter Onnoghen by President Mohammadu Buhari may have put our hard-won democracy in great danger”. That such considerations never mattered to the likes of Princewill shows the stuff they are made of, and how cheap talk is. But even that Vanguard Editorial overreached itself in that it called on Buhari to restore the CJN to his office so that thereafter the CJN should honourable resign. Also it called on the Acting CJN to resign for having allowed himself to be sworn into the CJN’s office. Yet, it failed to call on Buhari, who according to the editorial, went to the “frightening” length of “unilaterally suspended the Head of the Judiciary” something “unprecedented in our history”, to also resign. So, why would the man, Buhari, who allegedly transgressed against the Constitution not be asked to resign too? The Vanguard editorial never answered that question. Or did the members of the Editorial Board forget that a President could actually resign from office? Or that he can also be impeached? We should not be afraid to go the whole hog if we actually want to clean up the public space. If we are asking the CJN to resign because he erred, and if we are asking the Acting-CJN to also resign because he erred, why should we not ask the President to also resign? Or did he not err? I know that if I ask the question which the suspension of the CJN has made obvious, I may be accused of taking a hard-line. The question is this: Is the Nigerian President so powerful that he poses a threat to the Republic? As The Economist article showed, the question of the over-reaching power of the American President has been a dominant issue. The American Founding Fathers were concerned about whether in the president they were not creating a monarch by default and attempted to guide against that by putting up all sorts of checks and balances against his powers. Despite their efforts though, the Historian, Arthur Schlesinger, argued in the “Imperial Presidency” that the US had already imbued her presidents with imperial powers since the 1960/1970s and that the “accretion of presidential power could not be undone”. In 2010, Neomi Rao wrote an essay, “The Decline and Fall of the American Republic” which she attributed to the “administrative collusion” which the magazine described as the “spineless tendency of lawmakers to give away powers to the executive”. Well, last December, the US government shut down because the Congress denied President Donald Trump the money to build a wall across the Mexican border. This January, Trump caved in and reopened the government. The Congress won! Would that have happened in Nigeria, especially if we had Hard Men such as Obasanjo or Buhari as President? If not why not? A Yale university political scientist, Juan Linz argued that making all the arms of government work as co-equals have failed everywhere the US Presidential/Federalism has been tried. While how to guide against an almighty POTUS (President of the United States) has always remained the staple of American politics and has always attracted the attention of American citizens, the opposite is true of Nigeria. When the late Dr. Chuba Okadigbo and Ghali Na’Abba (former Senate President and House of Reps Speaker) sought to keep the National Assembly independent of Obasanjo’s Executive, many journalists joined Tell magazine in attacking them. Now, the All Progressives Congress national legislators have been pretending that at the core of the Buhari/Onnoghen controversy is not constitutional breach but corruption. That is self-deception, even as our Republic is gradually being degraded by an almighty Presidency, because “you can’t be wrong and get right, no matter how hard you may try” – as Jimmy Cliff sang.